Ten years ago, this last of the straight tail 182, went through a very extensive renovation. The old panel was completely taken out. All, yes I mean all, of the wiring was replaced with new including circuit breakers. 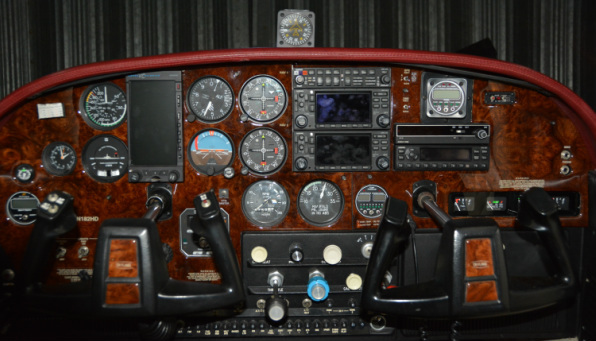 Custom real wook panel was installed as well as new, modern instrument lights. Every window was replaced with new. Shoulder harnesses installed. New interior and foam. New paint. New Cessna 182 emblems. New control wheels. Every instrument in the panel was either replaced with new, or taken out and refaced. The finished product was a Cessna 182B, the last of the straight tails, with the overbuilt leaf spring gear, looking from the outside and interior, like it just came off the factory floor. However, one look at the panel, makes one realize that this 182 is not your Dad's 1953 Packard Roadster. This plane has won a number of "Best of Show" at various fly ins. Where ever it goes, it gets its share of attention from fellow pilot's as well as ground control. 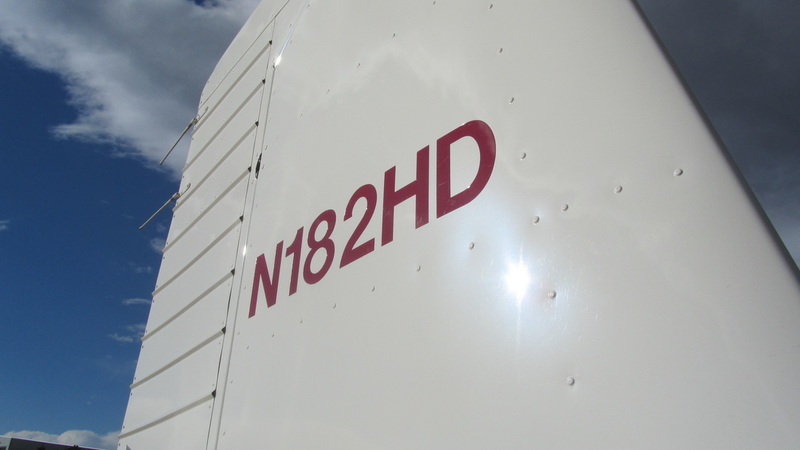 Often when I taxi out at my home airport in another plane, the ground controller asks where is 182HD? The plane flies as good as it looks. Cruise speeds are typically at 145 kts without pushing it. No significant oil consumption, no oil leaks or blow by. Logbooks are like the plane. This plane is definitely about pride of ownership.